Gentlepersons, I doth taste the most mythical of all cigar reviewer flavor notes mishegas -- PENCIL LEAD!!! I never hath felt more legit. I feel like I do when I spot a dwarf in the wilds of say aisle 8 of Albertons; like I'm about to have a very good run a' luck... but now I feel it ten-fold!!! Please allow me to gather my all-but-lost critical aplomb. 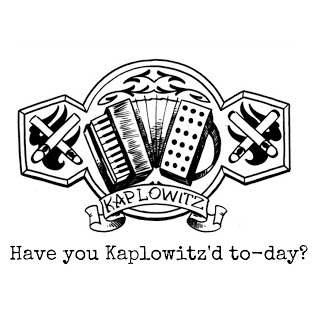 Lemme distract myself with a looksie towards construction/combustion: there is a soft-spot or some hither and thither on-down the shaft, but none so egregious as to hamper a quite lovely draw with just 'nuff resistance. Seams hold tightly well and even on a quite spider-vein'd canvas. Burn-line is nigh razor-even having self-correct some initial jaggedness. Ash is a dense stack a' dimes of a pale grey/silvery hue. My lone gripe is that said ash don't cling to an inch. Creamy lo not barnacle-building tobacco core presents as inherently but not overly sweet; balanced by a subtle piquancy of white pepper which turns to peppercorn through the schnoz, and a slight mulling spice with pronounced ginger lilt. Cedar, too, is exaggerated on the retro-hale, becoming seasoned. Diner cup a' joe. Butterscotch is on-board. Roasted salt. Leather. Under-belly is dirt with some sweet influence via baccy. Finish is a rather surprisingly complex and lengthy affair of sweet sauce and red pepper flake carried on leathery oils. Smoke stays cool as a cuke on-down to the solid nub. Pass me my tooth-pick, please. Did I mention pencil lead?! This New York City blend is a winner. Kudos, Martinez Cigars. Next time I re-enter the Motherland, I shall poke my head in yer shop and say my heys for a few days. "Since 1974, Martinez Hand Rolled Cigars Factory has produced some of the very finest cigars available anywhere in the world. 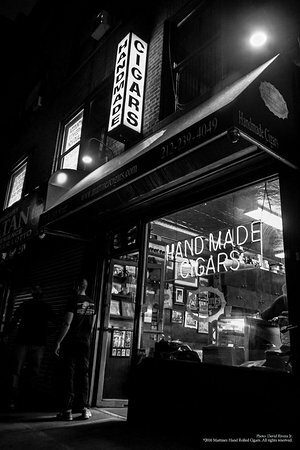 All Martinez Cigars are made by hand in our factory in midtown New York City, by the most talented rollers, expertly blended with the finest tobaccos. We proudly maintain the tradition begun by our founder, Don Antonio Martinez, honoring his talents, skills and memory. As owner Jesus Martinez says, "I’m sure that a Martinez cigar is one of the best you will ever smoke."" - Martinez Cigars website.